This blog post has been reproduced with permission from ParentEdge, a leading Parenting magazine in India. The post is written by Raina Bajaj, Educationist. . The first people with whom the child starts interacting and develops his understanding from are his parents, especially the mother. Not just because of the fact that she grows and nurtures him inside her body with utmost care and love, but also because she understands his unspoken words and gestures first, followed immediately by his father. The child is bound to be the replica of his parents, both genetically and by virtue of spending the maximum time with them, till he steps into the outer world. We as parents complain that our children don’t listen to us. The solution to this problem lies within us. You need to simply do what you want your child to do in a particular situation, that is, model the expected behaviour. Your children are growing up in an environment where they see you day and night reacting to different situations, be it dealing with people or material things. They will intentionally or unintentionally imitate you. It is you who has to lead them by example. Your child is another chance of living your life, all over again. If you feel satisfied with things that have happened in your life and the way you have dealt with different situations, your child is learning that from you. But if you are not satisfied with the same, change your ways as this is your second chance to rectify it and lead your child by example. Remember, it is easy to digest your own mistakes than knowing that your child is repeating the mistakes once made by you. Imagine a situation where your child is throwing tantrums or is showing his anger in some way or the other and is not listening to you. The only remedy that strikes you is to get him to stop is by shouting at him so that he gets scared of you and gets quiet. This might make him quiet at that point of time but he will also learn that it is alright to shout at the weaker person and that anger can be suppressed by anger only. Do you really want your child to learn that? You want your child to be honest with you always. But you go to watch a movie by telling your child that you are going to visit a doctor and he gets to know the truth later somehow. Would you still expect your child to tell you the truth when he goes for a movie when he grows up? Stop worrying that your child doesn’t listen to you, rather start worrying that he is watching you. You are his role model. He will be led by your example and not by your advice. Should you or should you not? Is now the time to have a second child or should you wait it out? Parents of single children often find themselves amidst these questions, afraid to make the choice, often hoping the situation will resolve itself. There are many benefits of raising a single child. a) A child can be provided focused attention by the parents, resulting in an increased amount of input to the child. b) A single child usually gets more time to pursue interests and hobbies be it indoors or outdoors. c) The child might feel the need to make friends and may be more likely to socialize more at school. d) Single children, perhaps, might also benefit more financially as they might end up getting a fair amount spent on their education and quality of life. While this is the rosy side of the picture, I am sure there is the other side too. While degrees in which these present themselves vary, there is a significant part that parents need to play to address these. a) The child might have feelings of loneliness and become a social recluse. b) The single child might be more dependent on the parents especially the mother for all his / her needs. c) The child might not have many options of people to confide in especially when he is going through tough times during teenage. So how does one work around this situation? What’s the recommendation from the parents of other single children? As always, there is probably no one right answer. To each, their own. There are, however, some best practices which can help make this a smoother journey for the parents and more importantly, for the child. a) Get a pet – I have found that having something or someone to be responsible for, to care for, helps a child overcome the feeling of loneliness. A pet can present many interesting ways of keeping a child engaged while inculcating in him / her feelings of responsibility. b) Be purposeful about play dates – Planning a single child’s week is much more important than planning the week for a child with a sibling. Who the child spends time with, what they do, how often they meet, can all become important influencers in shaping a child’s behavior. c) Establish a communication routine – A single child has fewer options of his / her age to confide in. Many times, communication shut down results in socially unacceptable behaviors. These are best avoided by establishing a communication routine at home by one of the parents. d) Maximize avocations – Having a single child is a wonderful opportunity to get the child to focus on a creative hobby or interest be it music or sports or anything else. Anything which is screen-free is a great hobby to encourage. Are you the parent of a single child? How do you cope with parenting and the challenges it presents to you? Other parents of single children would love to learn from your experience. 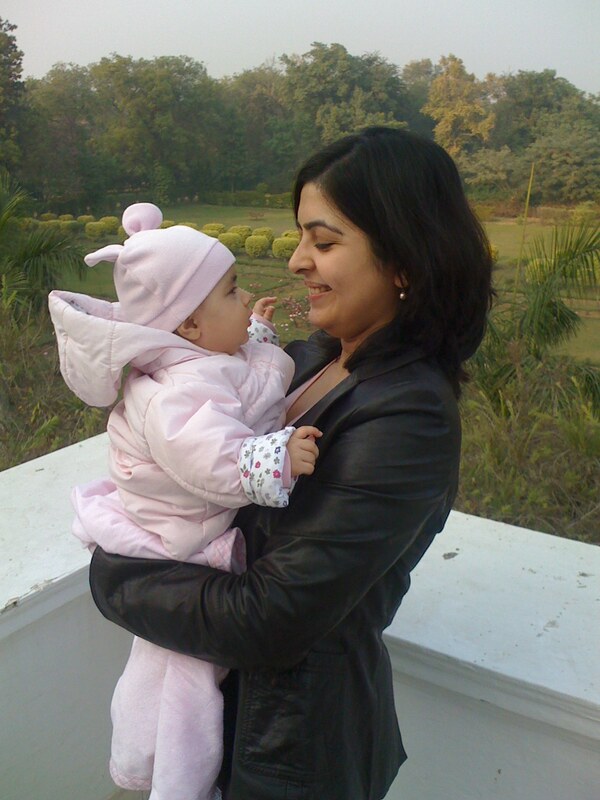 This blog post is a reproduction of my blog written for Parent Edge, one of India’s leading parenting magazines. We face a lot of pressure in this age of free flowing information, rising expectations and access to resources, especially if you are a parent! It is tough, to say the least, for every parent to keep up with the changing times. It is not just the technology and the gadgets that support it, it is the health consciousness, it is keeping up with the plethora of emergent hobbies and also the rapidly changing education system. It is overwhelming to keep pace with the change for sure but I would imagine every generation might have had its own challenges. Our parents had to deal with a ‘no computer seen ever’ to ‘my child is furiously chatting away on the computer till midnight’ generation. We have to deal with toddlers hooked on to tablets and 12 year olds releasing their music albums or a authoring a spectacular book! Overwhelming is an understatement! So how does one deal with this overwhelment? Caught in the vicious cycle of ‘need to earn money’ but ‘need to be the perfect parent’, parents are really unable to do any kind of justice to the unstated needs of their children. For starters, I will quote again the rule #1 of parenting – be present for the child. If we are not there with the child, unable to listen to what they did through the day, what they learned, it is very unlikely that we will learn about how the world is evolving by observing the behavior of the children. We will only find ourselves repeatedly facing shocks and then hope and pray everything will sort itself out by some miracle. There are, of course, some things we can do, to keep ourselves up to date with how the world is changing. These are really, ‘baby steps’ though, the key is to get started and be consistent. a) Talk to your child once a day about how his / her day was and what he / she learned. I know this might sound silly but most of us know this is sometimes missing even with couples so perhaps with kids, many times, goes unnoticed. It could be the morning or evening or over the phone during working hours but the discipline is a must. b) Subscribe to a good parenting magazine / website / blog or get on to some FB groups – whatever is your thing, do it your way, but do try and be hooked on. c) When in doubt, consult an expert. I know our tendency is to go to family and friends but we all know that the best practices in parenting might not be adequately exhibited in these circles. What is the harm in reaching out for help? d) Think about parenting. This can be a tough one, especially where both parents are working. We tend to do what comes naturally to us however best we know how to do it. However, being mindful about parenting itself will prod us into doing more research and being more aware about some recommended ways of handling a situation. In a nutshell, be mindful of the fact that there is a change to deal with and make time to deal with it. So, your child does not sit in one place when it’s time for homework? Let us rewind back to the time when the child was a toddler. If you spend a fair bit of time with the child early on, reading, telling stories, writing or just listening as the child was trying to piece sentences together, chances are, you are not going to have to deal with this problem later. If you have been able to get the child into a routine of reading or any other form of age-appropriate learning, the love for learning has in all likelihood, already developed. The child now sees ‘studying’ to learn new things as a way of life and does not find it a chore to sit for completing homework. The more involved a parent is in the child’s everyday efforts at learning something new, the more likely the child might be to take to learning naturally. Being appreciated for learning a new thing fosters the will and ability to learn more. a) Invest in Workbooks: Not all parents are internet savvy and not all might want to download worksheets from popular websites or from the school portal. If you are one of those, invest in buying some good workbooks from book shops. Sit the child down everyday, at least once a day, even if it is for 15 minutes and get the child to complete a set of chosen pages. b) Allow the child to choose: Dictating the routine is important but dictating what a child needs to study when is not critical in pre-school. Allow the child to choose one of a few types of things to do. You might be surprised how soon a child’s talent for words or numbers is apparent. Encourage the child by awarding stars or paste stickers to acknowledge a job well done. c) Make learning integral to everyday activities: Holidays don’t have to mean no workbooks. There are times when holidays are packed with social visits but then there are some when the child has ample time. Weekends can be fun learning time when the child is experimenting with cut vegetables or fruits or flour shapes or other such indulgences that need a lot of time and hence are tough to manage on a weekday. d) Make every travel a learning experience: We learn a lot while traveling. It is important to make that learning process conscious for the child too. Every travel can include an opportunity to play games that are portable and fun. e) Be excited about learning: If you catch yourself making statements like ‘No homework today! Yeah!’, you are indeed, making a child believe that getting homework is not cause of celebration but lack of it is. Who then, is, instilling the feeling in a child that homework is unwanted and is a burden? A child learns best via role modeling. Love to learn and a child will follow suit. The Secret to Raising Smart Kids—Don’t Tell them They are! This blog post has been reproduced with permission from ParentEdge, a leading Parenting magazine in India. The post is written by Sudha Kumar, Publisher of ParentEdge. . The world overvalues smartness and undervalues hard work and effort. So, you would be surprised to know that research done at Stanford University by Carol Dweck, one of the world’s leading researchers in the field of motivation, tells us exactly the opposite. Dweck’s book Mindset talks about two kinds of attitudes with which individuals approach situations- fixed and growth.People with a fixed mindset believe that their basic qualities like intelligence and talent are fixed traits. They spend time in holding on to their intelligence rather than developing them. More importantly, they believe that talent alone creates success. People who adopt a growth mindset on the other hand believe that ability can be developed and strengthened through hard work and effort. Talent you are “born with” is just the starting point. This view creates a love for learning and equally significantly resilience. Now why is this so important for parents and society at large? Because unwittingly or deliberately many of us subscribe to the fixed mindset worldview- and how does this manifest? By holding “bright” children in high esteem, secretly wishing our kids are tagged the “super smart” or gifted, applauding our children when they figure things out quickly, and also believing that talent is the biggest determinant of success. Even last week end, when I was anchoring a discussion with parents, one of them said, my son is average in everything he does- he is not exceptional in any area- what does the future hold? As parents, we categorize our children quite quickly and, as a consequence, we do not do what it takes to motivate them continuously. If we subscribed to the growth mindset, on the other hand, we will encourage or children to keep trying, praise effort rather than outcomes, motivate them when they are struggling, share with them stories that so called genius is a product of at least 10000 hours of hard work, and inculcate an attitude that effort counts as much, if not more, than innate intelligence. According to Dweck, the mindset shapes a child’s attitude towards learning and expanding one’s horizons. In life these are attributes that often determine success. An experiment carried out by Dweck among school children showed that a “smart child” with a fixed mindset is reluctant to take on risks, is afraid of failure, and so is unwilling to try the hard problem whereas the child with a growth mindset, even if he is not as smart, is willing to try the same problem, and does not worry as much about not being able to get the right answer. No prizes for guessing which of the above kinds of children will grow up to be a Rahul Dravid (someone whose performance has far outstripped his innate talent)! PS: I stole the title of this post from that of an article written by Dweck for the Scientific American! For a parent (read: an adult who spends time executing parental duties), life is a mad rush. Wake up. Rush the child. Rush yourself. Most of us might be able to relate to this and the fact that along with rushing, comes a fair bit of being temperamental. What is the result of such crazy schedules? A parent who feels guilty about not executing expected duties on time and a confused child, left with a question mark about his / her capabilities. Nothing great, for sure. How does one address this? How do you create more time than that you have available in a day? Nothing is easy. Certainly not parenting. The good news, however, is, that most things can be resolved. Treat this like a typical time management issue. Yes, I would argue that time management is the largest issue plaguing today’s parent. We all have needs and desires and keep juggling with the variable of time available at hand only to find that we are dropping more balls than we are able to keep up. The solution? A schedule. Sounds simplistic. Well, maybe it is. At least some bit of it. It is surprising how many working parents live by the hour at work and at home, and miss commitment after commitment. Some of us don’t and that’s great. But we can do better. Want to spend more ‘quality time’ with your child? Add it on your calendar – ‘Take Khushi swimming’. Keep the appointment and work around your ‘work’ to make things happen. They will. I know there are some of us who couldn’t be caught dead with a schedule. For such people, think about it this way. Your child needs you to have a schedule. Children respond well to a schedule. That does not mean you become a micro-manager and say things like ‘It’s 2:30 pm, stop having food and go and do homework’. Instead, be as flexible as the child might need you to be but do start with a schedule and make the child aware that there is a schedule and he / she is expected to adhere to it. And how does a schedule help the kids? It generally keeps their mood swings at bay. They know when to expect what and they have more purpose in their day. They look forward to play time and know that there is a heads down time. Most of all, however, it makes them learn the art of managing their time. It is surprising how scheduling some things in life can solve many problems. Many fights amongst couples like who does what for which child or needing time to one’s own self, can be solved to some extent by a schedule. Not just by making a schedule, though. Following it too! Think about it as one of the biggest gifts you can give to your child. So those of us who run away from schedules and live in the moment, do you think you can give this a shot? How do you teach your child to be sensitive to other people’s woes? This blog post has been reproduced with permission from ParentEdge, a leading Parenting magazine in India. The post is written by Aparna Karthikeyan, Parent Blogger. From the time of Buddha, it’s a big parental dilemma… do you expose your child to the “real” world? Or do you – because you can – raise your child in a happy cocoon? We, of course are the haves; we read parenting magazines and take well-informed decisions on what to teach our children; not all have an access to something like that – there are parents whose priority is to keep their family fed. Which means they have no time to provide emotional assistance, the way you and I can. As for financial and material, the children and the parents sorely lack what we would take for granted. But coming to the point – how do you tell your children just how privileged they are? And when do you tell them? I’ve no answers to the questions – because on the one hand, it all seems so frivolous, when I insist my daughter sits in the a/c in the afternoons (because its boiling hot outside) and then tell her that there are kids who sleep four to a fan. It seems ridiculous to tell her that people wear hand-me-downs even on birthdays and Diwali, when I spend, without batting an eye-lid several thousands on her outfits. It seems pointless, and frustrating even, talking about it, when I know we’re all just going to read and go back to doing what we always do – upgrade computers for our children and order the latest books on Amazon for them. So how do you reach out to the kids and make them reach out (or at least not close their eyes and ears to a world out there, not a tenth as lucky as they are)? Children who are too small will not understand; and if you leave it for too long, they won’t care. The in-between ages, don’t they have enough on their minds? Do you need to add to their burden? But if you don’t teach them, aren’t you failing them as parents? And then comes the how – do you tell your child to take public transport to experience the misery that’s a public bus in Chennai? Do you tell her to eat and drink in small way-side cafes, and see what it’s like? Except, none of us will have the heart to do this, definitely not on a sustained basis. We want the best for our children – and we have every right to want it – so how do we do then teach them to spare a thought for the others? I can only think of one option – if I don’t have the heart to make her face, first-hand, the “real” world, I at least have to make her experience it second-hand. By talking to under-privileged children, and spending some time with them. I happen to spend, because of my line of work, a lot of time with economically deprived people, and I know that money won’t solve their problems; they don’t want hand-outs; they don’t want sympathy; all they want is a chance to do their jobs and do it well, and be suitably rewarded for it. If anything, then, I want my daughter to learn to respect the contribution of every single person, no matter how small or menial their jobs, and when her time comes, to reward people who fetch and carry things for her, to reward them suitably.